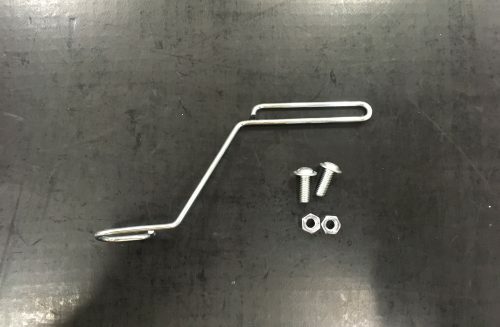 Based on your feedback, that after installation of the Rade/Garage 701 or 690 fairing kit the front brake hose is not “tidy” and kind in a way, we have developed the new hose guide. 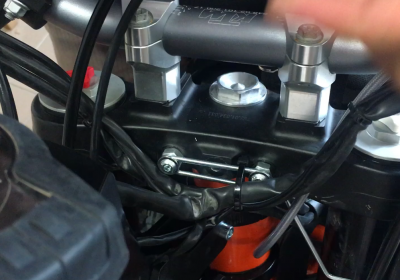 The guide is bolted to the upper triple clamps and holds the brake hose(s) out of the way while still providing flexibility required for steering. This is another of our continuous improvement to our fairing kits in order to make you happy, safe and together stand out of the rest. It is our philosophy to always improve our products. We strive to make changes available as “an upgrade”, protecting your investments. This is one of those cases. Those that purchased the fairings in the past can order it on this page. 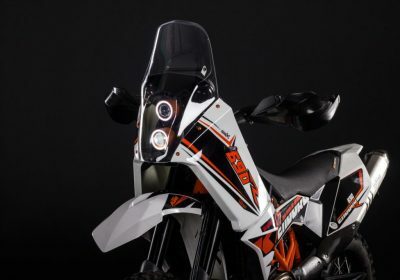 Going forward, the brake hose guide is now included in our KTM 690 & Husqvarna 701 fairing kits. How does the hose guide work? What is included in the hose guide set? 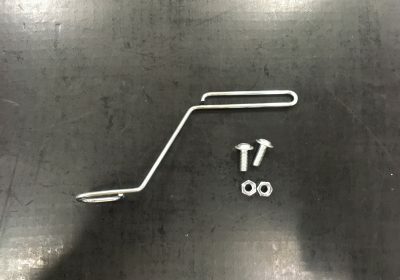 How to order the brake hose guide?